On this day, I am taking to you to another destination that is wonder. Do you have destination you have to visit? Well, I thought that everyone went there. It is non other than Agra. On Summer vacation, My Uncle alongwith my cousin, sis,bro and myself planned a trip to Agra. It was a very pleasant journey to Agra. I reached there by a car. 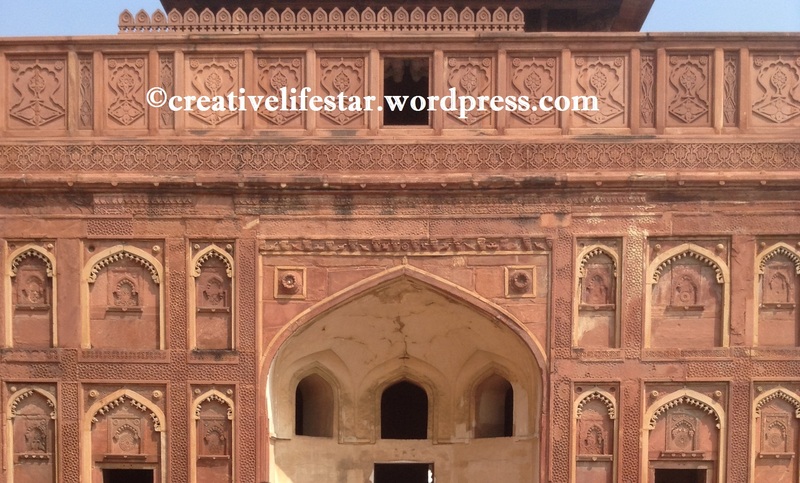 Firstly, We have moved to the Agra Fort. As we entered, there was huge gateway to pass on. The building was wall bricked made of sandstones. It was a combination of red sandstone and white marble. There was a sheesh Mahal also where candles are lighted mirrored wall. I had also saw Diwan-I-aam and Diwan-I-Khaas. It also consists of Jahangir daughter’s white marbled Palace in the form of Doli as in muslim tradition. I had observed an echo effect wall also. There was a huge garden. The insight gallery was awesome. There was a stepwell. Then we reached Taj Mahal by a chariot. 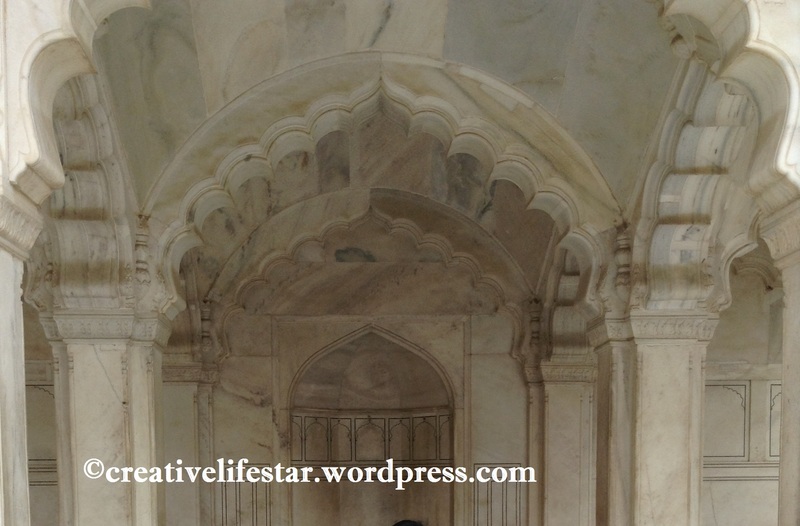 We know that ShahJahan had made it in the memory of his beloved wife Mumtaz Mahal. As we moved, there was a huge gateway with red sandstone walls that seems to be welcomed. The building was white marbled . There was a passage with fountain. It consists of domes. It has four minarets and marbled jali. It has Qur’an words depicted on the walls. It has poem and plant motifs. It is decorated by different stones with reflecting tiles. There was a Museum also to know about Taj Mahal. I enjoyed this destination. We had delicious meal also. It was a great and cherishable.